The host defense against intracellular pathogens depends largely on activation of phagocytes and is regulated by a complex network of cytokines. Modulation of this cytokine network might lead to new or additional therapies in the treatment of infections with intracellular pathogens. 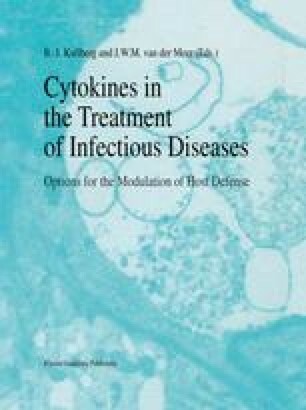 Therefore, insight in the role of various cytokines in the host defense against these pathogens is required. The present contribution summarizes the results of various studies on the role of different cytokines in the host defense against the intracellular bacteria Listeria monocytogenes and Salmonella typhimurium.